"My son was not a haunted figure sleeping in a doorway. He was not someone you would be scared to pass on a darkened street..."
I was unpacking toilet paper and library books when a police officer in a bulletproof vest knocked on my door. I don't remember his face, but I do remember his heavy black boots in contrast to my bare feet. It was a bright, warm day and he asked me to come outside, into the driveway out of earshot of my daughter, then he informed me that my 21-year-old son had died early that morning. The officer wouldn't tell me how Holden died, he just kept repeating, between my howling questions, that foul play was not suspected. He stood there awkwardly, not knowing what to do with his hands, while I curled like a fetus on the paving stones and felt my life slip sideways, several degrees off its axis. I remember thinking that the wrong person was wearing the bulletproof vest — I should have asked for it before he started talking; that may have prevented the bullet from ripping me apart — but of course it was already much too late for that. Weeks later, the toxicology screening confirmed that our son died of opioid toxicity, otherwise known as a heroin overdose. To be more precise, an unfortunate mixture of alcohol and heroin. A combination of the two is often enough to slow and eventually stop even the youngest, strongest, and most beautiful of hearts. This is what the coroner explained as I stared out the window at our chestnut tree. I am now one of the many mothers who have the coroner's direct line in my contacts. The coroners in Vancouver are very busy these days. So busy that my son's body was driven 20 minutes away, to Burnaby General Hospital because the morgue at St. Paul's was full to capacity. In B.C. last year, more than 1,400 people are reported to have died of suspected drug overdoses, a 43% increase from 2016. 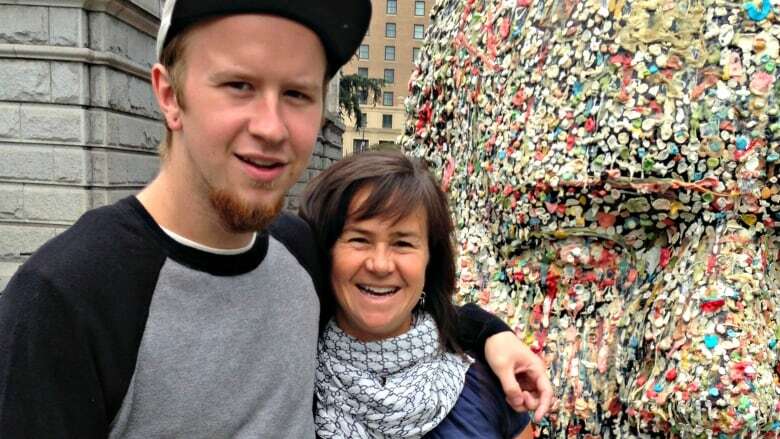 (Rafferty Baker/CBC)But what really killed him? This is a harder question to answer, and one I have spent nearly every moment since that day trying to unravel. A grieving mother will never rest; she will not believe you if you tell her "it is what it is." And she will never agree that he is "in a better place," because a better place would be in my kitchen eating curry chicken and listening, ironically, to Mariah Carey. My son was not a haunted figure sleeping in a doorway. He was not someone you would be scared to pass on a darkened street. I am left holding one end of a devious thread. A thread that I keep pulling on and following, but like a magician's trick, there never seems to be an end. Could the occasional beer I drank while I was breastfeeding have pre-disposed him to addiction? Did the fact that Holden's father and I divorced when he was young leave his tiny psyche fractured? More likely it had to do with the disconnectedness he encountered as the first generation of kids to surf the early wave of the internet. Please tell me it wasn't the video games. It must have been the anxiety and depression he struggled with, combined with the emptiness and pain he chose to numb. Maybe I can blame the destructive and yet highly creative people he surrounded himself with — graffiti artists on the fringes of society. Or, was it just the odds? I don't know why my son turned to heroin. I believe he used the first time in a reckless moment of depression when he didn't care about anything, including himself. I have had similar moments so I cannot judge. I once climbed out the back window of a speeding Mexican taxi to surf on its roof. Dangerous, absolutely, but I did not want to die that night, I was just trying to have fun, trying to be cool, trying to figure myself out. Which seems to be what we are all doing here. By making mistakes and feeling the burn we inch closer to ourselves. And, let's not forget, some of us are here because of one reckless moment. A mural dedicated to Holden covers a sixty-five foot cement wall in a parking lot in East Vancouver. The background of the mural is covered in reproductions of Holden’s own graffiti recreated by some of his closest friends. (taramcguire.com)If only he could have been as kind to himself as he was to the many people who have contacted me since his death to say, "Holden was the only one who really understood me, he was there for me when I felt completely alone, your son stayed up all night with me, he made me laugh like nobody else, he was the smartest person I've ever known, he was my boyfriend (there were quite a few of those), he was my best friend (there were many of those too)." My son was not a haunted figure sleeping in a doorway. He was not someone you would be scared to pass on a darkened street; in fact, he probably would have smiled at you and tipped his baseball hat your way. When he took his final breath, he was strong and tanned from working hard in the sun. The last time I saw Holden, he told me a crow had eaten his lunch on the job site. So the next morning I made an extra sandwich, one for him and one for the crow, before kissing him goodbye and telling him "no I won't give you a ride to work, you can get there on your own." I wish I had known that thieving crows were not his biggest problem. If I could, by some form of magic, go back and do things differently I would simply ask my son, "what is really going on here?" And I would wait until I heard what I knew in my heart to be the truth. I would wave off all of the, "nothing's wrong Mom," and "I've got this Mom," and, "don't worry Momz, it's all good." I would hold steady through the denial. I might say something like, "I can see you are in trouble. I don't know what that trouble is but I do know that not talking about trouble makes it bigger. Let's bring your secrets out into the light where they will shrivel. Let's break them apart piece by piece so we can bury them instead of you." For now, the simplest tasks have become rituals to Holden's memory. He watches me unpack groceries from his smiling photo on the fridge, I smell him when I take sheets out of the linen closet and he helps me choose which books to borrow from the library. And sometimes, when his sister walks out the front door and down the driveway, I see only her. Tara McGuire's personal website can be found here. 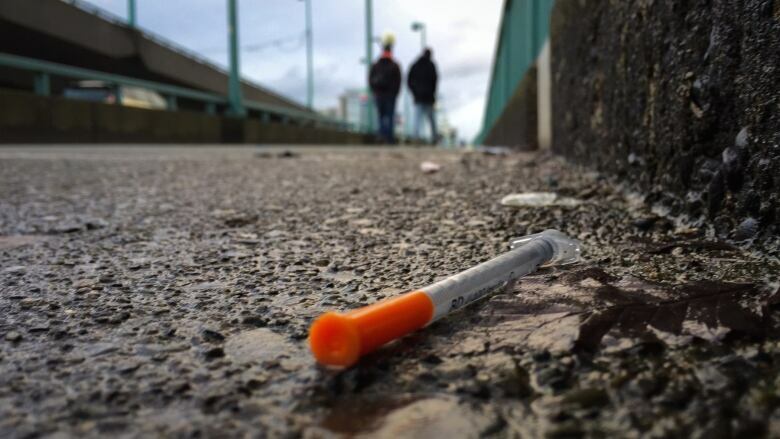 NOTE: On January 31, 2018, the BC Coroner's Office announced that last year, 1,422 British Columbians died from suspected illicit drug overdoses, up 43% from the previous year.